Capturing innovation opportunities requires crafting decision-making processes and working in dual learning modes, with phases – or “stages” – of intensive and focused development and experimentation combined with moments – or “gates” – of questioning and prioritization. Steering innovation projects and teams requires combining the discipline of focused project portfolio and clear management commitments with an environment that fosters leadership, risk-taking and experimentation. Crossing the gap between a fuzzy innovation idea and sizeable value creation requires dedicated resources and capabilities, both to explore and frame selected potential opportunities and to exploit and scale up potential new businesses. Innovation is real work, requiring significant and specific time and resources. (Book) Furr, N. R., & Dyer, J. (2014). The Innovator’s Method: Bringing the Lean Startup Into Your Organization. Harvard Business Press. (Book) Ries, Eric. The lean startup: How today’s entrepreneurs use continuous innovation to create radically successful businesses. Crown Business, 2011. (Article) Amara, N., Landry, R., Becheikh, N., & Ouimet, M. (2008). Learning and novelty of innovation in established manufacturing SMEs. Technovation, 28(7), 450-463. (Article) Chew, W. Bruce, Dorothy Leonard-Barton, and Roger E. Bohn. “Beating Murphy’s law.” MIT Sloan Management Review 32.3 (1991): 5. (Article) Cooper, R.G. (2014). What’s Next? : After Stage-Gate. Research-Technology Management, 57(1), 20-31. (Article) Cooper, R.G., Edgett, S. J., & Kleinschmidt, E. J. (2002). Optimizing the stage-gate process: what best-practice companies do—I. Research-Technology Management, 45(5), 21-27. (Article) Cooper, R.G., & Sommer, A.F. (2016). The Agile–Stage‐Gate Hybrid Model: A Promising New Approach and a New Research Opportunity. Journal of Product Innovation Management, 33(5), 513-526. (Article) Denning, S. (2013). Why Agile can be a game change for managing continuous innovation in many industries. Strategy & Leadership, 41(2), 5 – 11. (Article) Ettlie, J.E., & Elsenbach, J.M. (2007). Modified Stage‐Gate® Regimes in New Product Development. Journal of Product Innovation Management, 24(1), 20-33. (Article) Grönlund, J., Sjödin, D.R., & Frishammar, J. (2010). Open innovation and the stage-gate process: A revised model for new product development. California Management Review, 52(3), 106-131. (Article) Knudsen, M.P., & Mortensen, T.B. (2011). Some immediate–but negative–effects of openness on product development performance. Technovation, 31(1), 54-64. (Article) Leonard-Barton, D. (1992). ‘Core capabilities and core rigidities: a paradox in managing new product development’. Strategic Management Journal, 13, 111-125. (Article) Rigby, D. K., Sutherland, J., & Takeuchi, H. (2016). Embracing agile. Harvard Business Review, 94(5), 40-50. (Article) Robert, M.R. (2014). Agile at IBM: software developers teach a new dance step to management. Strategy & Leadership, 42(2), 26 – 29. (Article) Tidd, J., & Bodley, K. (2002). The influence of project novelty on the new product development process. R&D Management, 32(2), 127-138. (Article) Velu, C., & Stiles, P. (2013). Managing decision-making and cannibalization for parallel business models. Long Range Planning, 46(6), 443-458. (Article) Yli‐Renko, H., Autio, E., & Sapienza, H. J. (2001). Social capital, knowledge acquisition, and knowledge exploitation in young technology‐based firms. Strategic Management Journal, 22(6‐7), 587-613. (Book) Govindarajan, V., & Trimble, C. (2010). 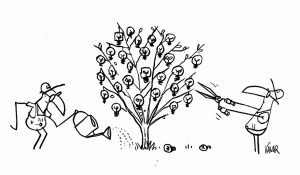 The other side of innovation: Solving the execution challenge. Harvard Business Press. (Article) Amabile, T.M., Hadley, C.N., & Kramer, S.J. (2002). Creativity under the gun. Harvard Business Review, 80, 52-63. (Article) Benders, J., & Vermeulen, P. (2002). Too many tools? On problem solving in NPD projects. International Journal of Innovation Management, 6(02), 163-185. (Article) Blank, S., & Newell, P. (2017). 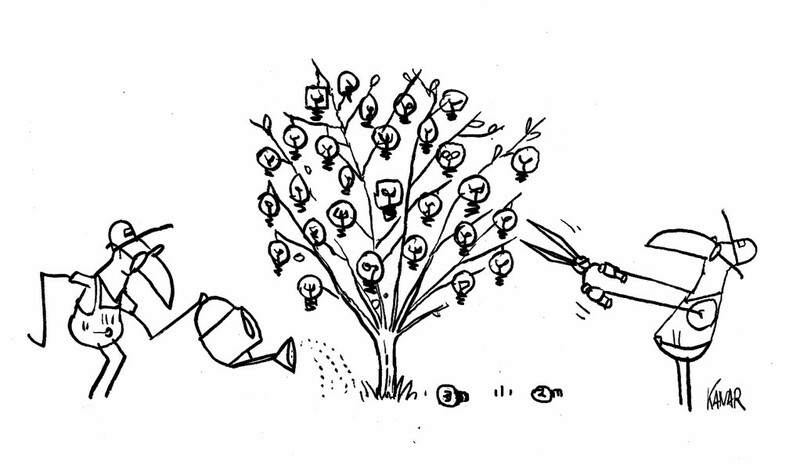 What your innovation process should look like. Harvard Business Review. (Article) Bonner, J.M., Ruekert, R.W., & Walker, O.C. (2002). Upper management control of new product development projects and project performance. Journal of Product Innovation Management, 19(3), 233-245. (Article) Bradley, S. W., Wiklund, J., & Shepherd, D. A. (2011). Swinging a double-edged sword: The effect of slack on entrepreneurial management and growth. Journal of Business Venturing, 26(5), 537-554. (Article) Carlile, P.R. (2002). A pragmatic view of knowledge and boundaries: Boundary objects in new product development. Organization Science, 13(4), 442-455. (Article) Carlile, P. R. (2004). Transferring, translating, and transforming: An integrative framework for managing knowledge across boundaries. Organization Science, 15(5), 555-568. (Article) Chen, Y.-C., Li, P.-C., & Lin, Y.-H. (2013). How inter- and intra-organisational coordination affect product development performance: the role of slack resources. Journal of Business & Industrial Marketing , 28 (1-2), 125-136. (Article) D’Alvano, L., & Hidalgo, A. (2012). Innovation management techniques and development degree of innovation process in service organizations. R&D Management, 42(1), 60-70. (Article) Dooley, K. J., Subra, A., & Anderson, J. (2002). Adoption rates and patterns of best practices in new product development. International Journal of Innovation Management, 6(01), 85-103. (Article) Hill, L.A., & Davis, G. (2017). The Board’s new innovation imperative. Harvard Business Review, 95(6), 103-109. (Article) Lewis, M. W. (2000). Exploring paradox: Toward a more comprehensive guide. Academy of Management Review, 25(4), 760-776. (Article) Markham, S. K., & Lee, H. (2013). Product development and management association’s 2012 comparative performance assessment study. Journal of Product Innovation Management, 30(3), 408-429. (Article) Perlow, L.A., Okhuysen, G.A., & Repenning, N.P. (2002). The speed trap: Exploring the relationship between decision making and temporal context. Academy of Management Journal, 45(5), 931-955. (Article) Salomo, S., Weise, J., & Gemünden, H. G. (2007). NPD planning activities and innovation performance: the mediating role of process management and the moderating effect of product innovativeness. Journal of Product Innovation Management, 24(4), 285-302. (Article) Sethi, R., & Iqbal, Z. (2008). Stage-gate controls, learning failure, and adverse effect on novel new products. Journal of Marketing, 72(1), 118-134. (Article) Troilo, G., De Luca, L.M., & Atuahene‐Gima, K. (2014). More innovation with less? A strategic contingency view of slack resources, information search, and radical innovation. Journal of Product Innovation Management, 31(2), 259-277. (Book) Roberts, Michael J., Howard H. Stevenson, William A. Sahlman, Paul Marshall and Richard G. Hamermesh, eds. New Business Ventures and the Entrepreneur. 6th ed. New York: McGraw-Hill/Irwin, 2006. (Article) Adams, D., & Hublikar, S. (2010). Upgrade your new-product machine. Research-Technology Management, 53(2), 55-67. (Article) Barczak, G., Griffin, A., & Kahn, K. B. (2009). Perspective: trends and drivers of success in NPD practices: results of the 2003 PDMA best practices study. Journal of Product Innovation Management, 26(1), 3-23. (Article) Biniari, M.G., Simmons, S.A., Monsen, E.W., & Moreno, M.P. (2015). The configuration of corporate venturing logics: An integrated resource dependence and institutional perspective. Small Business Economics, 45(2), 351-367. (Article) Breuer, H. (2013). 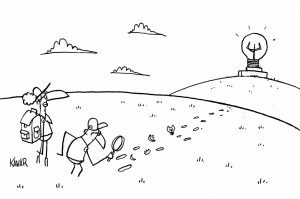 Lean venturing: Learning to create new business through exploration, elaboration, evaluation, experimentation, and evolution. International Journal of Innovation Management, 17(03), 1340013. (Article) Burgelman, Robert A. “A process model of internal corporate venturing in the diversified major firm.” Administrative Science Quarterly (1983): 223-244. (Article) Cooper, R. G. (2008). The stage-gate idea-to-launch process–update, what’s new and NexGen systems. Journal of Product Innovation Management, 25(3), 213-232. (Article) De Brentani, U., & Reid, S. E. (2012). 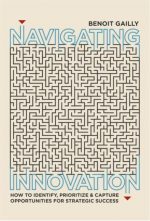 The fuzzy front‐end of discontinuous innovation: Insights for research and management. Journal of Product Innovation Management, 29(1), 70-87. (Article) Joh, J., & Mayfield, M. (2009). 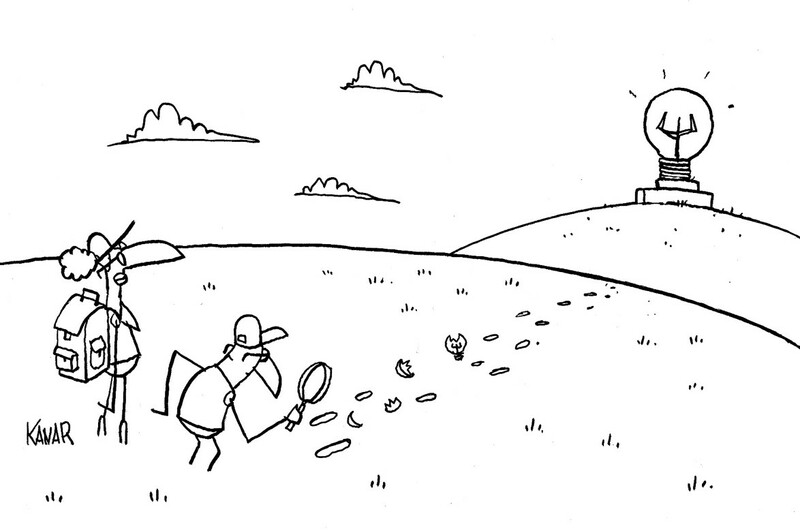 The discipline of product discovery: identifying breakthrough business opportunities. Journal of Business Strategy, 30(2/3), 70-77. (Article) Khurana, A. & Rosenthal, S.R. (1997). Integrating the Fuzzy Front-End of New Product Development. Sloan Management Review, 38 (2), 103-120. (Article) Koen, P., Ajamian, G., Burkart, R., Clamen, A., Davidson, J., D’Amore, R., … & Karol, R. (2001). Providing clarity and a common language to the “fuzzy front end”. Research-Technology Management, 44(2), 46-55. (Article) Mansoori, Y., & Lackéus, M. (2019). Comparing effectuation to discovery-driven planning, prescriptive entrepreneurship, business planning, lean startup, and design thinking. Small Business Economics, 1-28. (Article) Markham, S. K., Ward, S. J., Aiman‐Smith, L., & Kingon, A. I. (2010). The valley of death as context for role theory in product innovation. Journal of Product Innovation Management, 27(3), 402-417. (Article) Markides, C., & Geroski, P. (2003). The Two Cultures of Corporate Strategy. Strategy+ Business, (32). (Article) Meyer, M. H., & Utterback, J. M. (1995). Product development cycle time and commercial success. IEEE transactions on engineering management, 42(4), 297-304. (Article) O’Connor, G.C., & Rice, M.P. (2013). 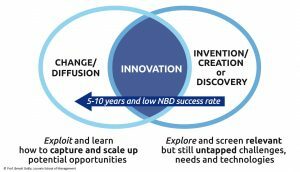 New market creation for breakthrough innovations: Enabling and constraining mechanisms. Journal of Product Innovation Management, 30(2), 209-227. (Article) Sosna, M., Trevinyo-Rodríguez, R. N., & Velamuri, S. R. (2010). Business model innovation through trial-and-error learning: The Naturhouse case. Long Range Planning, 43(2-3), 383-407. (Article) Still, K. (2017). Accelerating Research Innovation by Adopting the Lean Startup Paradigm. Technology Innovation Management Review, 7(5).